Click here for RealAudio comments by the composer, 4:35. RealAudio 14.4 version. Click here for RealAudio2 version of Three Voice, 8:49. RealAudio 14.4 version. Kui Dong was born in Beijing, China. 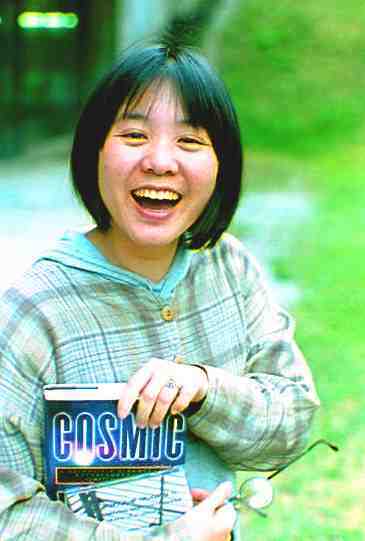 Her compositions and commissions include a 3-act ballet for orchestra, chamber works, and works for Electronic-acoustics. 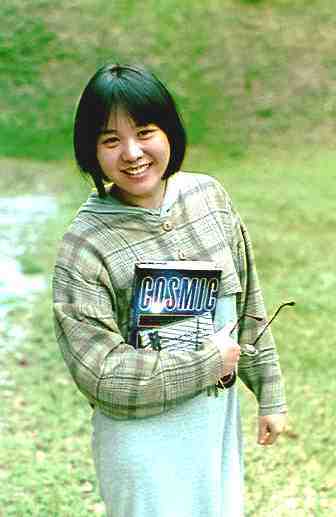 Between 1988 and 1993 she also produced a number of scores for Chinese film and television. Kui Dong has received performances from Other Minds Music Festival, Bonk Festival, Festival Synthèse 99, Bourges, France, Composers Inc. (SF), Pacific Contemporary Music Festival (LA), Alea III (Boston), Central Ballet of China, Music From China Inc., The New York New Music Ensemble, San Francisco Contemporary Music Players, Earplay, Windsor Symphony (Canada), Society of Composers Inc. (Miami), Soundbox 2.0, Beijing Dance Institute, Meridian Gallery (SF), Visual Symbols (SJ), LIMP (Argentina), among others. Her music has been broadcast on KPFA, New Radio Performing Art Inc., (New York) and the European Broadcast Union and among others. 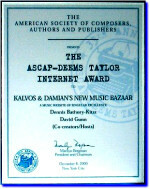 Her honors include first prizes from 1994 Alea III International Composition Prize, Boston, National Art Song Competition, Beijing, National Dance Music Competition (Beijing), Diploma of 1999 International Competitions of the Val Tidone for Composer, Italy, Honorary mention at Ars Electronica (1996), as well as awards from The Mary Flagler Cary Charitable Trust Commissioning award (1999-2000) Meet The Composer/USA Commissioning Award (1997-98), Dickey Foundation (1998), ASCAP (1995), the Djaressi Foundation for Art (1995), Santa Clara Art Council (1995), Asia-Pacific National Fund (1993). She has been to Djaressi artist residency program and will be in Bellagio this summer. She is currently writing a few chamber works for pianist Sarah Cahill, Dale Singers and Music from China as well as performing with Larry Polansky and Christian Wolff. Kui Dong is an Assistant Professor at Dartmouth College.